The Christmas movies continue in Dublin cinemas this week. 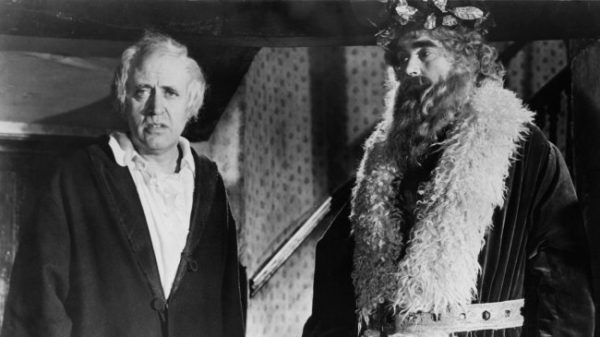 Scrooge, the wonderful 1951 adaptation of Charles Dickens’ seasonal tale, featuring an iconic performance by Alastair Sim in the the title role, plays all week at the Irish Film Institute. Across the river at the Lighthouse you can catch the original version of Miracle on 34th Street (Monday and Tuesday) and the Tom Hanks voiced The Polar Express (Saturday and Monday). There’s much talk of Hugh Grant possibly receiving an Oscar nomination for his impressive work in this year’s Florence Foster Jenkins. You can see him in one of his finest roles on Monday when the Lighthouse screens 2002’s About a Boy. Grant is on top form as a man-child coming of age in his forties. No film wants to compete with the latest Star Wars installment, and so Rogue One dominates this week in terms of new releases. Like The Force Awakens, it looks like a Star Wars movie, sounds like a Star Wars movie, but just doesn’t have that special charm we associate with the original trilogy.